Erik Telford grew up in Steinbeck country in a sleepy town called Pacific Grove, located on the central coast of California. As a teenager he was closely associated with the Monterey Jazz Festival and as a senior in high school, he became the first recipient of the Jimmy Lyons Scholarship, a full-tuition scholarship given by the Monterey Jazz Festival to attend Berklee College of Music in Boston, Massachusetts. While at Berklee, Erik studied jazz composition and trumpet with Greg Hopkins, classical composition with Dennis Leclaire and Vuk Kulenovic and orchestral conducting with George Monseur and David Callahan. He graduated from Berklee in 2001 with a degree in film scoring. 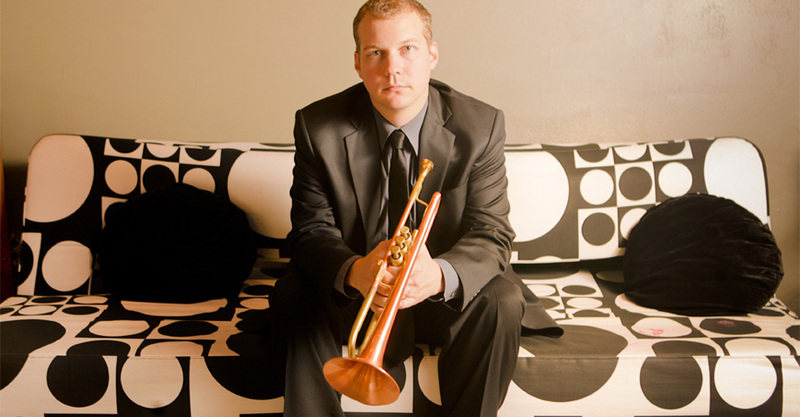 Erik has performed as a leader or sideman on four continents with artists such as Bill Berry, George Bohannan, Maria Schneider, Joshua Redman, James Williams, Elias Haslanger, Jon Faddis, Wynton Marsalis, and Louie Bellson. He has been an artist at the Monterey, Montreux, North Sea, Melbourne, and Yokohama Honmoku jazz festivals. Kinetic is Erik Telford’s debut solo album and contains all original material that was written over a 10-year period. Kinetic is influenced mainly by the jazz and fusion music of the late 60s and early to mid 70s. It also employs more modern recording techniques such as the liberal use of effects on acoustic instruments. It was recorded “live” in the studio in 2008. Erik now resides in Austin, Texas, where he is an active member of the music scene. In addition to leading his own group, Erik Telford Collective (ETC), he runs a horn section called Hellfire Horns who have quickly become a top call horn section for studio sessions and live performances with artists like Bob Schneider, The Scabs, Chris Pierce, Kevin Ahart, Akina Adderley, Paolo Negri, and The Walkmen. Erik also plays keyboards with singer/songwriter Kalu James. Directed by Curtis Pollock. Produced by The Yellow House Studios. This is an excerpt from a DVD/2 CD available at http://hideoutdvd.com. Want a physical copy of the album? Simply email bookings@ejtmusic.com or call (512) 394-4228. “‘Kinetic’ represents everything that is right with contemporary jazz…Telford announces himself as a vehemently original voice.